Elder Network Visitor volunteers visit to provide a listening ear, support and encouragement. Volunteer drivers provide transportation for seniors to their important medical and mental wellness appointments. For those aged 55+ facing challenges in their lives, such as isolation, depression, anxiety, addictions, retirement, grief, major health changes, etc. these Peer Support volunteers make the difference between mental and physical wellness or the decline thereof. Respite Volunteers provide a break for the caregiver to do some of the out-of-home tasks that need to be done. These volunteers provide peace of mind for the caregiver that their loved one is taken care of while they are away. As a local non-profit, we rely on trained volunteers for a large portion of our services. Since 2011, volunteers have given over 5,000 rides to needed health-related appointments and visitors have made over 20,000 hours of visits. These are 2 examples of the unmet needs of seniors indicated in the Gaps Analysis reports in all three counties we serve. Not all seniors are in need of services, but those who do will need to be supported. 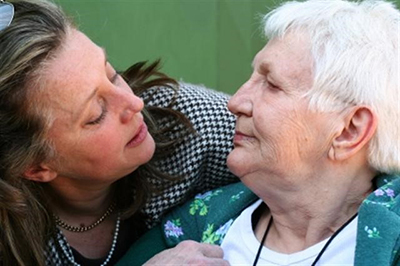 Elder Network volunteers are passionate about being there for them. Elder Network has openings for volunteer drivers who are wiling to transport seniors to their crucial medical appointments. This is particularly needed in the winter. Please call Beth at 507-285-5272. Position would support a caregiver to be able to complete some daily living duties like shopping, cleaning, personal appointments or just an opportunity to rest themselves. These volunteers help the care receiver be comfortable with the caregiver gone or otherwise engaged through active conversation, playing games, making a favorite treat or even going for a ride. At the moment we have a waiting list of male care receivers and their caregivers that would like to be matched with a male respite volunteer. Elder Network also has waiting lists for visitors in a variety of areas in greater Rochester. The responsibilities for a visitor are mainly social interaction and engagement. Many elders are lonely - their support network may be gone during the day or perhaps they have outlived their friends and their family is not close by. Men and women are needed for this volunteer position. Community Outreach Team: Elder Network needs help getting the word out about how we help seniors and their families. Could you help connect our organization with isolated seniors, potential volunteers, service providers and community organizations? The outreach team will meet once per month, and will work on projects that suit their interests and abilities. No public speaking required! If you think you can help introduce others to Elder Network, please become a part of our team. We're always looking for volunteers. If one of the positions listed above isn't quite what you're looking for, that's ok! Fill out the volunteer form and we'll match you with the right volunteer opportunity.